User genneko shares us their notes on what they learned about FreeBSD after using it in a production environment. They walk us through templates, configuring the jail NAT, to building the VIMAGE-enabled kernel. See the link below for the author’s notes to learn something new about jails. 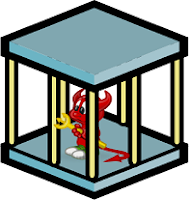 I have heard about jails many times since my early days of FreeBSD life but it was only the last year I began to use it in production. This article is a sort of personal notebook where I summarize what I learned about jails. It would be frequently updated as I learn more. The host is running FreeBSD 11.2/amd64 on ZFS. Each jail has a separate root dataset under /vm on the host. Template datasets are created under /vm/tmpl like /vm/tmpl/11.2. Jails are generated by cloning or send/receive(copying) a template dataset. ….